People who manage multiple social media accounts and channels know the importance of planning and scheduling in advance, and use a number of tools, apps, and software to help them manage the workload. Instagram management is particularly time consuming as it has such a visual focus. Social media managers don’t only need to perfect their copy and community engagement, but also their content, colour palette, and overall feed aesthetic! When redesigning Hopper HQ, we wanted to focus on how social media managers work, and how we can make that workflow even easier and more creative. We’re excited to introduce Hopper HQ’s new look, and announce some highly anticipated features to make Instagram management easier than ever! We’re firm believers that the more you enjoy a task, the better you do it. Instagram management doesn’t need to be tedious, it can be a creative process which brings out the designers and photographers in all of us! 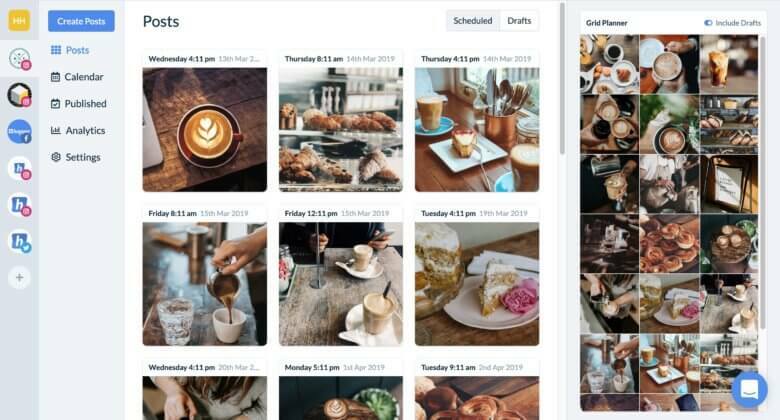 With drag and drop and one-click editing, Hopper HQ will allow you to schedule your Instagram content for the month ahead quickly and enjoyably! 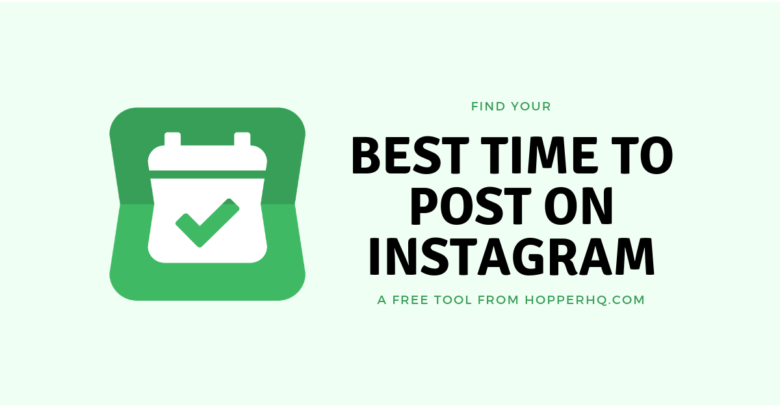 Plan & schedule Instagram posts ahead of time. As any social media manager knows, Instagram management isn’t just about the individual posts, but the profile as a whole. In 2019, business Instagram profiles are as (if not more) important than a website, and can result in a huge amount of new customers. However, it takes only a few seconds from landing on an Instagram profile to decide whether you keep scrolling or leave, and this is due to what you see in those first 6 squares. But grid patterns and themes are hard to perfect! They require a lot of effort to plan and curate, and are therefore a time consuming area of Instagram management. 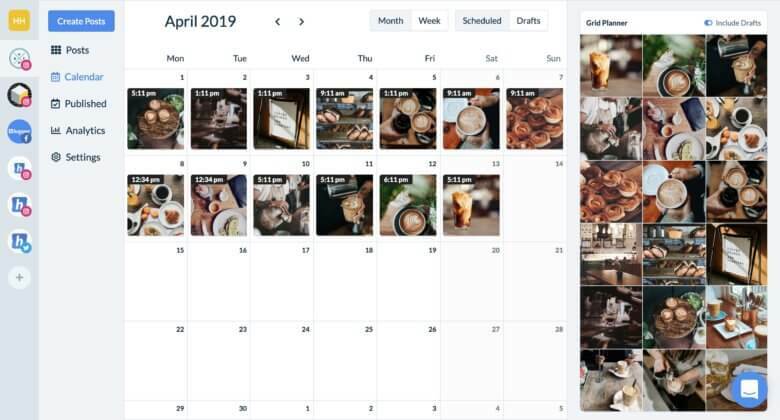 Hopper HQ’s Grid Planner makes it easy for you to see what your scheduled Instagram posts will look like on your profile once they’ve been published! You can play around by dragging and dropping the posts to create the best theme or pattern — this will update the order that the posts are published on Instagram. In the new design, you’re able to view your team’s draft posts, and reschedule published content from within the Grid Planner. Sometimes it’s hard to visualise what individual images will look like next to each other, and many social media managers will have had to delete something that clashes or didn’t look as good as imagined. We take the guessing out of your Instagram management, so you can get it right every time. Insta gram posts with a location receive 79% more engagement than those without. Until now, locations had to be added manually after posts had been published, but we’re excited to finally announce that this feature is now available on Hopper HQ! You can add location tags to all of your scheduled photos and videos, streamlining your Instagram management and saving time. Whether it’s your town or city, or the specific office building you’re in, add locations to all of your Instagram posts to improve engagement. Same goes for the location stickers on Instagram Stories, as you will increase your reach as people view the location Story. Explore the data behind your Instagram account. Carousel posts are a great way to deliver more value to your followers in a single post. They’re particularly beneficial for grouping a series of similar photos, of an event for example, or a product photoshoot, as well as showing before and after images. If you frequently post long video content, you can also use carousel posts to exceed the 60 second limit and continuing the video by swiping left! Upload up to 10 photos and videos for your carousel on Hopper HQ, crop and edit quickly and easily with our editing software, and schedule away! We’ll publish the post when the time comes, and take a weight off your Instagram management load. Using the right hashtags on Instagram is essential to reach your target audience and increase engagement on your posts. Creating a hashtag strategy is a vital part of Instagram management, and often finding new and relevant hashtags is time-consuming part of the research. Save time swapping between your computer and mobile trying to discover hashtags suggestions! Using the hashtag explorer on Hopper HQ, you can browse hashtags related to ones already in your caption, as well as track their popularity on Instagram. Easily add and remove hashtags in your caption or first comment, and we’ll publish them alongside your post. For more Instagram hashtag tips and tricks, check out our all in one guide! Fully automated posts. No phone required. Another sure fire way of increasing engagement on Instagram is by mentioning other users in your captions! Whether it’s a customer, a brand partnership, or just a shout out, mentions notify other accounts of your post. This is likely to result in fast engagement, which is important because the Instagram algorithm favours posts that receive likes and comments quickly after being published. As well as engagement, mentions also contribute to building a community and starting conversations with people in your target demographic, which are both huge parts of Instagram management. Hopper HQ now recommends Instagram users as you type, so you can quickly find the account you’re looking for, as well as make sure your mentions are going to notify the right people! Second to what you’re posting, one of the most important factors of Instagram management is how often you’re posting. There’s no right or wrong answer for how often brands or influencers should post on Instagram, as long as it’s consistent, and not spammy. Learn how to build a relevant & engaged following. Create better content & leverage Instagram for your business. Join 50,000 others getting the latest social media news, insights and trends every week with Hopper HQ's Trending newsletter. We wont send you any spam.